Christian Tai took his second gold medal of the championships, winning the men’s 16yrs 50m Fly on the final day of the Swim England National Summer Meet. The Bournemouth Collegiate swimmer, though behind in the first 25m, powered through for a new personal best. The 200m Fly champion from day four touched in 26.39, ahead of Thomas Clare and Alex Watkinson. Tai commented: “That felt better than the last gold, racing with my mates this time. There was another kid from my club in the lane next to me, so to come out on top is always quite nice. Warrington Warriors’ Watkinson was leading as the approached the final 15m, but he was overtaken by both Tai and Clare. Team Ipswich swimmer Clare took silver with a time of 26.57 and Watkinson took bronze with his 26.77 effort. 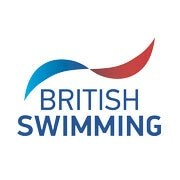 Rhiannon Bowen of Team Bath AS secured a gold medal in the women’s 16yrs 50m Butterfly event. She had already claimed a bronze medal in the 200m IM earlier in the week, and came back strong in the fly for the title. She touched in a new personal best time of 28.82, ahead of Emily Peck of Preston and Kazia Whittaker of Isle of Man. Bowen said: “I was a bit surprised to be honest. I haven’t done much speed work on fly. I’ve been doing 200 race pace, so I’m proud to go under 29 seconds for the first time. “I really wasn’t expecting it as I’ve done so many other races. I’m so fatigued. I’ve been here two weeks, so I’m looking forward to going home now. Click here to see full results from the Swim England National Summer Meet 2017.